How to win every horse race seems like a dream come true, but when you think laterally, this is what bookmakers do every day of every week. Have you ever heard the phrase “you never see a poor bookie“, this approach will hopefully give you an Idea for creating value based methods of your own to start bashing the bookie (or mainly the exchanges). As you’re most likely aware, a bookmaker will price each runner of a horse race in a way that offers less than expected or true value. The reason being Is that bookies are businesses, and their aim Is to make money whichever horse wins the race. It’s a mathematical business model that has worked Incredibly well for many years now. The basic premise is that the odds on every runner In a race will amount to 100%. This Is known as a true book, but most horse races will be from 105-115%. The addition Is called Over Round, and this accounts for the bookmakers margin on the race. The bookie doesn’t really care which horse wins, provided that he makes value overall and this is exactly what the over round does. Can you get value and defeat the bookies? Well yes, you can win every horse race with a little bit of shrewdness and cunning. One such method revolves around dutching the field using “best odds guaranteed” bookies. By getting the best odds on each runner, using Oddschecker, we can almost eliminate the over round. The clever thing here, is that once the bet is placed, we are guaranteed at least the odds that we took. If the price of the eventual winner drifts in price, prior to the off, the bookmaker will pay out on the larger odds, and this Increase will usually put you In profit. The worst case scenario is that you lose a little due to the over round. After all, you’ll have backed every runner in the race. It’s a simple method and bookies hate you using It, as you’re playing them at their own game. 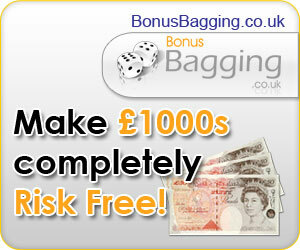 Use It with large bets or too frequently with a single bookie and expect to get your account restricted or gubbed. We can use similar tactics with the exchanges, which generally have a much smaller over round to defeat, typically 102-105%. What makes this work Is the ability to ask for odds that aren’t currently available. Again we back dutch every runner In the race but we ask for better odds on each runner and then keep these odds In Play. By requesting better odds, we’re aiming to eliminate the over round and create an under round, meaning that we’re getting value In the same way that the bookie Is. Provided that each horse gets matched in-running, which they usually do, due to the prices constantly changing, you’ll make a profit over all. And that’s what we’re aiming for. As you can see, neither of these approaches are overly complex, It’s just a slightly different approach to betting by putting the odds back in your favour. I’ve been thinking of applying a similar method to the correct scores market on football. As the games tend to be much slower that the racing markets, I’m not sure how It’ll pan out, or how the bets will get matched and at what point. Again, It’s just In the thought process currently, but I tend to find that one idea can be adapted to different markets. I’d love to hear your thoughts on this, maybe you have a better idea to share. Please comment below. Never Heard Of Tradefair Spreads! I’m a beginner when it comes to horse racing and I would absolute love to learn how to win every horse race. I did not know that you can actually ask a bookie for better odds. How do you do this? And why would they give you better odds if it’s not in their best interest to do so? I mean, what do they get in return? Also, do you have to bet large amounts to be in a position to ask for better odds? I want to start off slowly and learn the ropes first. Yes Matt, with the betting exchanges you can ask for better odds, and you usually get them too. Bookies also give better odds when your horses drift in price with best odds guaranteed, and this is where you can make an edge. Sure, start slow and progress at your own pace, that’s the best approach. Maybe another approach might be to use one of the exchanges and try for a larger price ‘in running’, or even before the race starts. Another thought might be to try and make your own @book’, using both the bookies and say Betfair? Yes Lewis, that’s a great idea. The time involved adding the horses to the calculator could take a while though. In theory it would work well, i’ve no doubt. Not convinced letting a bunch of bets go in-play. Chances are, at least one will go against you and won’t get matched. Liabilties could be hard to stomach.